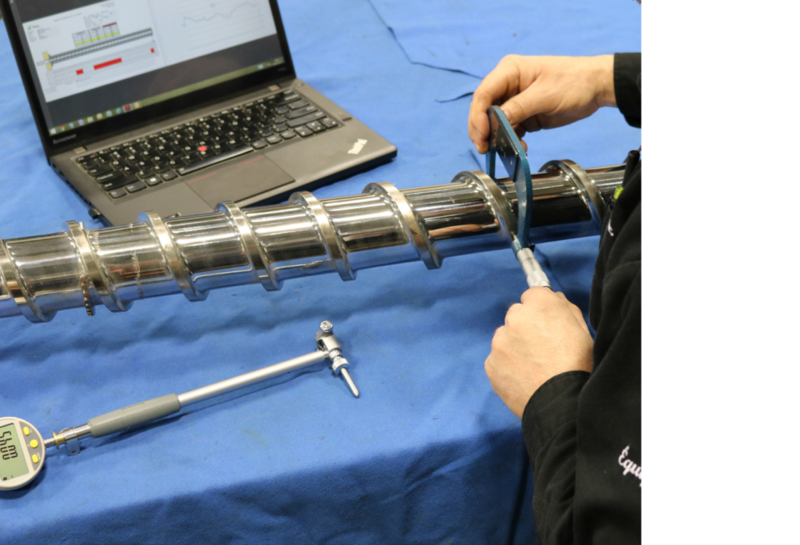 Auxiplast technicians in the service department, are trained to measure screw and barrels for injection and extrusion . With specialized tools at their disposal. They offer decision-precise measurement and professional service. Each measurement is complemented by a custom report showing the condition of your place by screws and barrels, all to help you better plan your maintenance or future repairs. In addition to the measurement, Auxiplast offers reconditioning service for worn screws and barrels, allowing stretch of 2 to 3 times the service life of the consumable items.